U.S. scrambles to outrun China in new ‘arms’ race over 5G data network. During the past year, the United States has embarked on a stealthy, occasionally threatening, global campaign to prevent Huawei and other Chinese firms from participating in the most dramatic remaking of the plumbing that controls the internet since it sputtered into being. Britain is not the only U.S. ally feeling the heat. 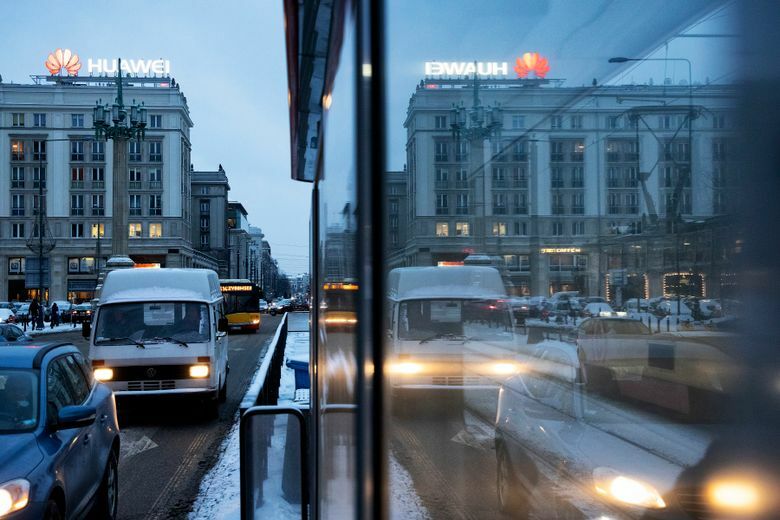 In Poland, officials are also under pressure from the United States to bar Huawei from building its fifth generation, or 5G, network. 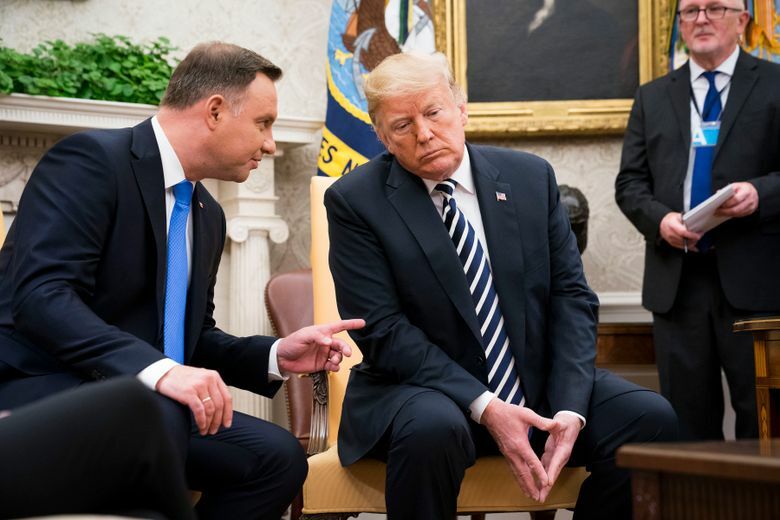 Trump officials suggested that future deployments of U.S. troops — including the prospect of a permanent base labeled “Fort Trump” — could hinge on Poland’s decision. And a delegation of U.S. officials showed up this spring in Germany, where most of Europe’s giant fiber-optic lines connect and Huawei wants to build the switches that make the system hum. Their message: Any economic benefit of using cheaper Chinese telecom equipment is outweighed by the security threat to the NATO alliance. The administration contends that the world is engaged in a new “arms” race — one that involves technology, rather than conventional weaponry, but poses just as much danger to U.S. national security. In an age when the most powerful weapons, short of nuclear arms, are cyber-controlled, whichever country dominates 5G will gain an economic, intelligence and military edge for much of this century. In interviews with current and former senior U.S. government officials, intelligence officers and top telecommunications executives, it is clear that the potential of 5G has created a zero-sum calculus in the Trump White House — a conviction that there must be a single winner in this arms race, and the loser must be banished. For months, the White House has been drafting an executive order, expected in the coming weeks, that would effectively ban U.S. companies from using Chinese-origin equipment in critical telecommunications networks. That goes far beyond the existing rules, which ban such equipment only from government networks. Nervousness about Chinese technology has long existed in the United States, fueled by the fear that the Chinese could insert a “back door” into telecom and computing networks that would allow Chinese security services to intercept military, government and corporate communications. And Chinese cyberintrusions of U.S. companies and government entities have occurred repeatedly, including by hackers suspected of working on behalf of China’s Ministry of State Security. U.S. officials say the old process of looking for “back doors” in equipment and software made by Chinese companies is the wrong approach, as is searching for ties between specific executives and the Chinese government. The bigger issue, they argue, is the increasingly authoritarian nature of the Chinese government, the fading line between independent business and the state and new laws that will give Beijing the power to look into, or maybe even take over, networks that companies like Huawei have helped build and maintain. Trump’s views, combined with a lack of hard evidence implicating Huawei in any espionage, have prompted some countries to question whether the U.S. campaign is really about national security or if it is aimed at preventing China from gaining a competitive edge. The administration is warning allies that the next six months are critical. Countries are beginning to auction off radio spectrum for new, 5G cellphone networks and decide on multibillion-dollar contracts to build the underlying switching systems. This past week, the Federal Communications Commission announced it had concluded its first high-band 5G spectrum auction. So far, the fear swirling around Huawei is almost entirely theoretical. Current and former U.S. officials whisper that classified reports implicate the company in possible Chinese espionage but have produced none publicly. Others familiar with the secret case against the company say there is no smoking gun — just a heightened concern about the firm’s rising technological dominance and the new Chinese laws that require Huawei to submit to requests from Beijing. Yet BT Group, the British telecom giant, has plans to rip out part of Huawei’s existing network. The company said that was part of its plans after acquiring a firm that used existing Huawei equipment; U.S. officials say it came after Britain’s intelligence services warned of growing risks. And Vodafone Group, which is based in London, said Friday that it would temporarily stop buying Huawei equipment for parts of its 5G network. Nations have watched warily as China has retaliated against countries that cross it. In December, Canada arrested a top Huawei executive, Meng Wanzhou, at the request of the United States. Meng, who is Ren’s daughter, has been accused of defrauding banks to help Huawei’s business evade sanctions against Iran. Since her arrest, China has detained two Canadian citizens and sentenced to death a third Canadian, who had previously been given 15 years in prison for drug smuggling. This month, the Polish government made two high-profile espionage arrests: Piotr Durbajlo, a former intelligence official; and Wang Weijing, an employee of Huawei. The arrests are the strongest evidence so far that links Huawei with spying activities. Wang, who was quickly fired by Huawei, has been accused of working for Chinese intelligence agencies, said a top former Polish intelligence official. Wang, according to U.S. diplomats, was the handler of Durbajlo, who appears to have helped the Chinese penetrate the Polish government’s most secure communications network. A senior U.S. official said the case was a prime example of how the Chinese government plants intelligence operatives inside Huawei’s vast global network. Those operatives potentially have access to overseas communications networks and can conduct espionage that the affected companies are not aware of, the official said. Huawei said Wang had brought “disrepute” on the company, and his actions had nothing to do with its operations. Wang’s lawyer, Bartlomiej Jankowski, says his client has been caught up in a geopolitical tug of war between the United States and China. U.S. and British officials had already grown concerned about Huawei’s abilities after cybersecurity experts, combing through the company’s source code to look for back doors, determined that Huawei could remotely access and control some networks from the company’s Shenzhen headquarters. U.S. officials and academics say Chinese telecommunications companies have also temporarily hijacked parts of the internet, rerouting basic traffic from the United States and Canada to China. One academic paper, co-written by professor Chris Demchak of the Naval War College, outlined how traffic from Canada meant for South Korea was redirected to China for six months. That 2016 attack has been repeated, according to U.S. officials, and provides opportunity for espionage. 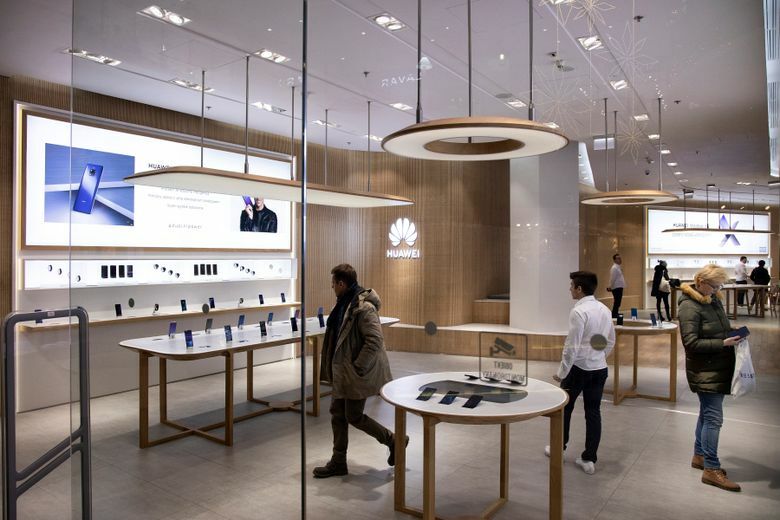 In 2018, AT&T and Verizon stopped selling Huawei phones in their stores after Huawei began equipping the devices with its own sets of computer chips — rather than relying on U.S. or European manufacturers. 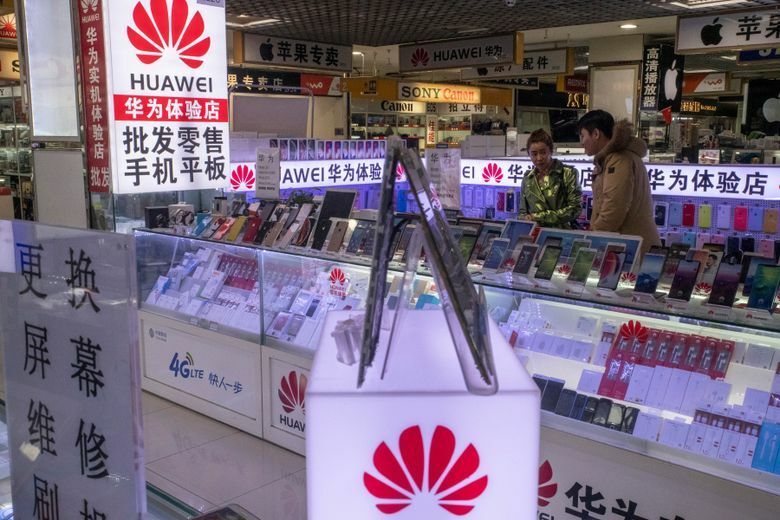 The National Security Agency quietly raised alarms that with Huawei supplying its own parts, the Chinese company would control every major element of its networks. The NSA feared it would no longer be able to rely on U.S. and European providers to warn of any evidence of malware, spying or other covert action. In 2018, Huawei edged out Apple as the second-biggest provider of cellphones around the world. Richard Yu, who heads the company’s consumer business, said in Beijing several days ago that “even without the U.S. market we will be No. 1 in the world,” by the end of this year or sometime in 2020. The company was founded in 1987 by Ren, a former People’s Liberation Army engineer who has become one of China’s most successful entrepreneurs. U.S. officials say the company started through imitation, and even theft, of American technology. Cisco Systems sued Huawei in 2003, saying it had illegally copied the U.S. company’s source code. The two companies settled out of court. But Huawei did not just imitate. It opened research centers (including one in California) and built alliances with leading universities around the world. In 2018, it generated $100 billion in revenue, twice as much as Cisco and significantly more than IBM. Its ability to deliver well-made equipment at a lower cost than Western firms drove once-dominant players like Motorola and Lucent out of the telecom-equipment industry. While U.S. officials refuse to discuss it, the government snooping was a two-way street. As early as 2010, the NSA secretly broke into Huawei’s headquarters, in an operation, code-named “Shotgiant,” a discovery revealed by Edward Snowden, the former NSA contractor now living in exile in Moscow. Documents show that the NSA was looking to prove suspicions that Huawei was secretly controlled by the People’s Liberation Army — and that Ren never really left the powerful army unit. It never found the evidence, according to former officials. But the Snowden documents also show that the NSA had another goal: to better understand Huawei’s technology and look for potential back doors. This way, when the company sold equipment to U.S. adversaries, the NSA would be able to target those nations’ computer and telephone networks to conduct surveillance and, if necessary, offensive cyberoperations. At roughly the same time, the NSA, at a series of classified meetings with telecommunications executives, had to decide whether to let Huawei bid for parts of the U.S. 5G networks. AT&T and Verizon argued there was value in letting Huawei set up a “test bed” in the United States since it would have to reveal the source code for its networking software. Allowing Huawei to bid would also drive the price of building the networks down, they argued. The director of the NSA at the time, Adm. Michael Rogers, never approved the move, and Huawei was blocked. In July, with these decisions swirling, Britain, the United States and other members of the “Five Eyes” intelligence-sharing alliance met for their annual meeting in Halifax, Nova Scotia, where Chinese telecommunications companies, Huawei and 5G networks were at the top of the agenda. They decided on joint action to try to block the company from building new networks in the West. U.S. officials are trying to make clear with allies around the world that the war with China is not just about trade but a battle to protect the national security of the world’s leading democracies and key NATO members. On Tuesday, the heads of U.S. intelligence agencies will appear before the Senate to deliver their annual threat assessment, and are expected to cite 5G investments by Chinese telecom companies, including Huawei, as a threat. In Poland, the message has quietly been delivered that countries that use Chinese telecommunications networks would be unsafe for U.S. troops, according to people familiar with the internal discussions.